Betchan Casino review presented below will help you understand whether this place is what you are looking for. Betchan was founded in 2015 and since then has been operating quite successfully, running lucrative promotions and keeping its operations totally above board, which earned it the respect and loyalty of thousands of customers from around the world. Betchan has a nice solid design, easy and enjoyable navigation and certainly a rich choice of games to pick between. 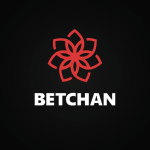 Whether you are a fan of slots or prefer the good old roulette, Betchan has something for you, usually exceeding your expectations every step of the way. This casino is worth visiting if you want to get great quality gaming and secure gambling atmosphere – Malta license makes certain of that. 4th deposit bonus at Betchan is a 50% up to $100 + 30 free spins for Lucky Coin. 50% up to $100 + 30 free spins for Book of Aztec if you make a deposit on Monday. €5 to a Porsche 911 Carrera GTS through the 11 levels of the VIP program that involves players earning special points for playing slots. Unfortunately, table games do not partake in the promotion, but if you are a big fan of slots, it’s very much real to keep climbing the achievement ladder and earning yourself cash bonuses. On top of the cash rewards, there are increased withdrawals limits and the assistance of a personal manager as you climb higher. 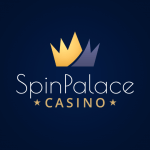 A share of €2019 + 2019 free spins every two days in the regular tournament that involves you playing sots and earning points. A share of €1,500 weekly in the Roulette vs. Blackjack promotion that involves players making real money bets on either of the two games, with most active ones being rewarded. Betchan takes pride in offering its players a fine choice of gaming providers known for high quality slots and other casino games. The providers are cherry picked for your ultimate gambling joy and bring forth their full might when it comes to visual effects and juicy features. You will be pleased to see on the list of providers such names as Habanero, iSoftBet, Quickspin, Ainsworth, Play’NGo, Amaya, Spinomenal, SoftSwiss, Yggdrasil, Amatic, Evolution, Pragmatic Play, Thunderkick, Microgaming, BetSoft Gaming, ELK, GameArt, NetEnt, Endorphina, NextGen Gaming, Belatra, EGT and Ezugi. As it’s common these days, most of the 2,500+ games available at the casino are slots. You will find a great variety of those in a number of themes – there are such famous titles as Wolf Gold, Book of Dead, Yak, Yeti & Roll, Great Rhino, Book of Aztec, Archangels: Salvation, the playful Reactoonz, Golden Fishtank, The legend of Shangri-la: cluster pays, Panda’s Fortune, the mysterious and adventure-themed Valley of the Gods, Lost Relics, Vikings go Berzerk, Rook’s Revenge, as well as such spectacular titles as Starburst, Fairytale legends: Hansel and Gretel and the like. You can search titles by provider or explore the categories available. Betchan has a choice of table games for those looking to rest from all the excitement of slots. 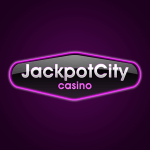 You will find such classics as blackjack, roulette, casino hold’em, keno and other popular games. There are 80+ live games available – these include table roulette, blackjack, dream catcher, keno and casino hold’em. Even though there aren’t too many actual games, there are plenty of varieties to suit the taste of every player, including those in various languages supported by the casino. The live games are powered by Evolution, EGT and Ezugi. Betchan offers everyone the possibility of playing both slots and live casino games on any device. It’s really simple and does not require downloading any software. All you need to do is visit the casino website on your mobile device – it will adapt to the screen size and resolution, remaining just as familiar and easy to navigate as usual, without giving you any trouble. 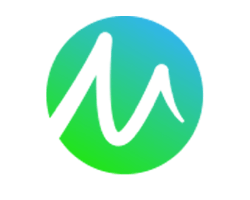 You can deposit funds with Visa, MasterCard, Maestro, as well as such popular systems as Skrill, Trustly, Neteller, Rapid transfer, iDeal, Neosurf, Interac online, Paysafecard, Ecopayz, Sofort, Zimpler and iDebit. Fewer methods are available for requesting a withdrawal – Visa, MasterCard, Skrill, Neteller, Trustly, ecoPayz and bank transfer. All of them come with no commission, the casino takes care of that for you. However, it’s important to keep in mind that bank transfer will take 1-5 days to process, while credit cards take 1-3 days, which is standard for these methods across the industry. Betchan Casino managed to establish itself over the few years as a reputable and solid casino to play slots and live dealer games at. It offers an unbeatable variety of slot games and table games, treating its customers to generous bonuses and promotions that leave no chance of getting bored. The MGA license only adds to the appeal, ensuring your total security and fairness of the games offered.